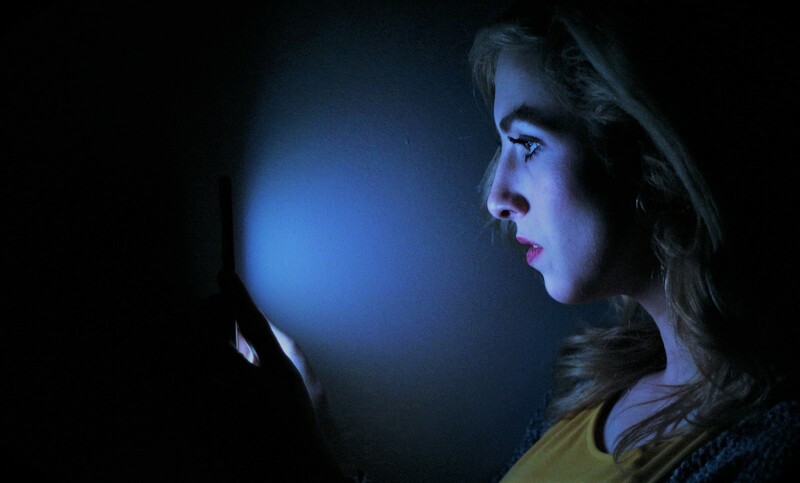 There are many who are not aware of the harmful effects of getting exposed to blue light at night. The fact is such screen light is emitted by modern electronic gadgets like the tablets and smartphones and if exposed to it during the evening will harm sleep quality. Hence, it becomes essential to know how blue light exposure is to be managed to protect health and sleep. 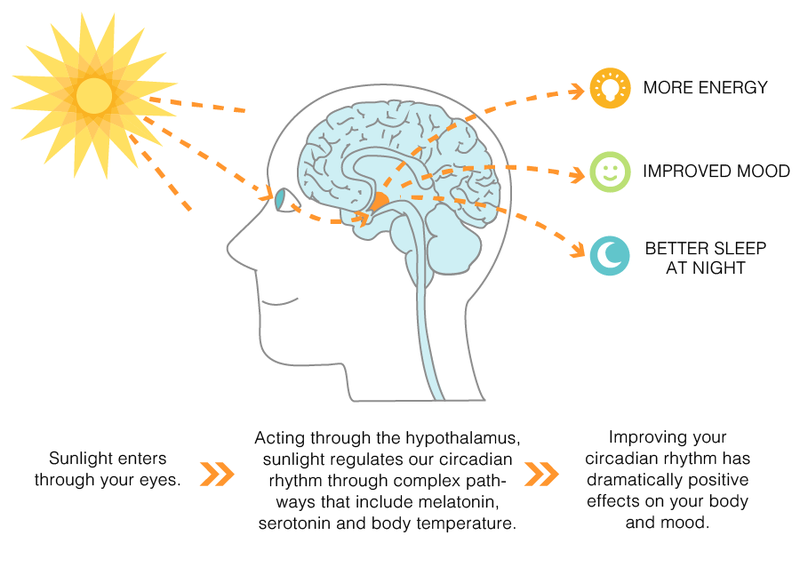 How much light exposure is better for human health and to get good sleep? Light is considered to be medicine. Just like junk food is not expected to be consumed regularly and to feel healthy and to be in best condition, it is not possible to consume all types of junk light every time and expect good sleep, to feel better and perform well. If managed properly, exposure to screen light may help to improve sleep, increase overall energy and to boost overall performance. In today’s modern world, where electronic gadgets rule lives, the well-educated individual can better protect his/her health and get good sleep at night as well as function efficiently during the day. In today’s modern world, there is light everywhere and it becomes essential to seek out darkness actively. Also is present more blue wavelength light which is found in plentiful in most of the energy efficient light sources as well as digital devices. Why blue light at night time interferes with sleep? There is numerous evidence piled up to show the potential hazards that blue wavelength screen light brings on human health and sleep patterns. As a matter of fact, studies have revealed that blue light is a light form. This is aggressive enough to trigger sleeplessness. It suppresses production of melatonin for over twice as long when compared to other types of light wavelengths. Also, the circadian rhythms are altered by about twice the degree. Hence, interference with the 24-hour circadian body rhythm may have a significant adverse effect upon human and eye health. It also creates problems with the immune, metabolic and cardiovascular systems, comprising cognitive functions and disturbing mood. When circadian rhythms are found to be out of control, then the person is not able to perform, feel or think at his/her best. Therefore with time, the health is compromised and put at risk. 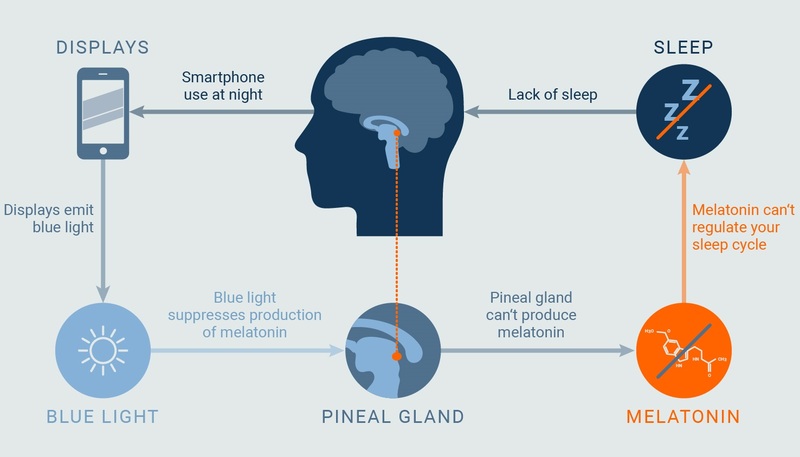 Studies conducted among healthy young adults have found out that exposure towards low blue light arising from computer or phone screens between 9 & 11 pm results in shortened total sleep time, significant suppression of melatonin production and diminished sleep quality with the increase of frequent nighttime awakenings. It also has been revealed that body temperature is prevented from dropping by blue screen light during night time. It is important to get good sleep which is only possible with a gradual lowering of the body’s temperature. Night time exposure to blue light is likely to disrupt regular circadian rhythms. After constant blue light exposure for several nights, people were noticed to get more tired during the daytime. In addition, they also experienced negative moods. 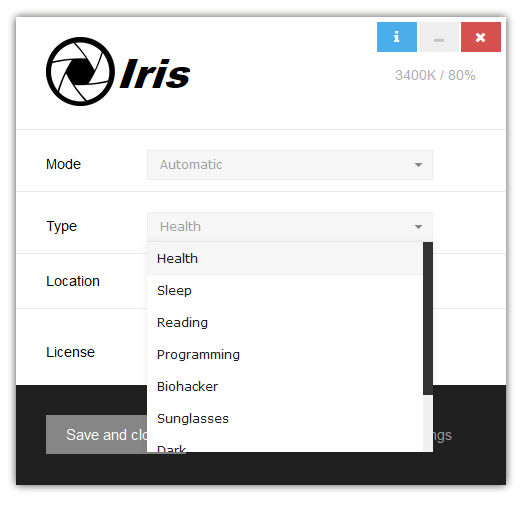 Using sleep light app like Iris software can do a lot of good to filter out blue screen light and to promote good sleep.